Michigana (also known as Michigania within Sunshine Coast) is an airline owned by mi_aquamarine. It is the flag carrier of the Republic of Kevtropolis. Michigana has a 3-tier rewards system, PebblePoints. 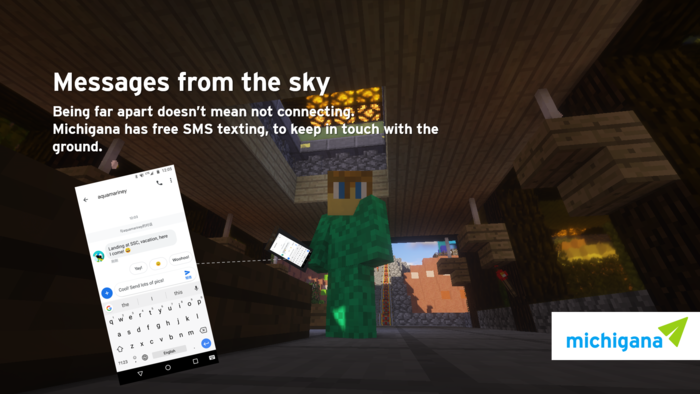 It is connected to the SkyNation reward system. Access to SkyNation Lounges - All SkyNation Silver members receive two passes per year to enter SkyNation lounges. With each pass they are allowed to bring up to two additional guests. Priority Boarding - All SkyNation Silver frequent fliers automatically get complimentary priority boarding on all flights, once they start boarding you may use the "Priority" lane which guarantees you that you will enter before everyone else. Priority Check-In - All SkyNation Silver frequent fliers save time right from the start with our dedicated Priority check-in line. Complimentary Upgrades - On all SkyNation Alliance airlines you may request a first/business class upgrade (if available) for no charge (24 hours before flight), not all flights included. SkyNation Silver Status - All SkyNation Silver members will receive a card or sticker to add onto their existing card that allows them to use their benefits by just presenting their card when traveling. SkyPoints Earning Bonus - On all SkyNation flights you may receive up to a 1.25x bonus on full-fare tickets. Waived Bag Fees - All SkyNation Silver frequent fliers automatically get their baggage fees waived. Customer Service Priority - At SkyNation Silver, you’ll be treated to premium service with high priority when calling a SkyRewards representative or a member airline reservations specialist. Call anytime with questions about your flights or any time you need assistance. Access to SkyNation Lounges - All SkyNation Gold members receive six passes per year to enter SkyNation lounges. With each pass they are allowed to bring up to two additional guests. Priority Boarding - All SkyNation Gold frequent fliers automatically get complimentary priority boarding on all flights, once they start boarding you may use the "Priority" lane which guarantees you that you will enter before everyone else. Priority Check-In - All SkyNation Gold frequent fliers save time right from the start with our dedicated Priority check-in line. Complimentary Upgrades - On all SkyNation Alliance airlines you may request a first/business class upgrade (if available) for no charge (72 hours before flight), not all flights included. SkyNation Gold Status - All SkyNation Gold members will receive a new SkyNation Gold card which will allow them to receive perks by just showing or swiping their card when travelling. SkyPoints Earning Bonus - On all SkyNation flights you may receive up to a 1.5x bonus on full-fare tickets. Customer Service Priority - At SkyNation Gold, you’ll be treated to premium service with higher priority when calling a SkyRewards representative or a member airline reservations specialist. Call anytime with questions about your flights or any time you need assistance. Luxurious Ground Service - All SkyNation Platinum frequent fliers qualify to receive pick up and drop off service to/from the airport when flying on SkyNation Platinum. Priority Boarding - All SkyNation Platinum frequent fliers automatically get complimentary priority boarding on all flights, once they start boarding you may use the "Priority" lane which guarantees you that you will enter before everyone else. Priority Check-In - All SkyNation Platinum frequent fliers save time right from the start with our dedicated Priority check-in line. Access to SkyNation Lounges - All SkyNation Platinum members receive unlimited access to enter SkyNation lounges with their SkyNation Platinum card and they are allowed to bring up to four additional guests. Complimentary Upgrades - On all SkyNation Alliance airlines you may request a first/business class upgrade (if available) for no charge (120 hours before flight), not all flights included. SkyPoints Earning Bonus - On all SkyNation flights you may receive up to a 1.75x bonus on full-fare tickets. SkyNation Platinum Card - All SkyNation Platinum members will receive a SkyNation Platinum card that allows them to use all the perks that they receive when it is presented while traveling. Customer Service Priority - At SkyNation Platinum, you’ll be treated to premium service with VIP priority when calling a SkyRewards representative or a member airline reservations specialist. Call anytime with questions about your flights or any time you need assistance. SkyNation Concierge - Our Concierge staff is available to all SkyNation Platinum members day or night as a personal resource for many different aspects of your life. Whether you need to select a restaurant and arrange the details of an upcoming special event or if you want expert advice selecting just the right gift, you can rely on Concierge to coordinate and take care of your requests, big and small. Michigana has a mixed fleet consisting of SI-A, Epsilon Aircraft Manufacturing, and locally supplied aircraft. Small planes in use are KRT-SM1. Small planes will have 1-6 warps while small-medium planes and above will have a maximum of 2. 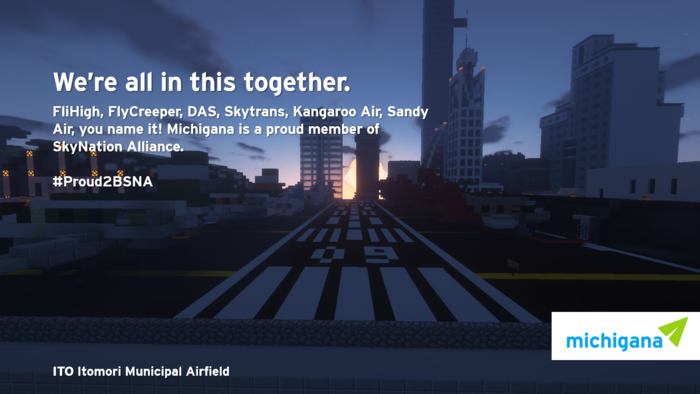 Michigana was founded on an unknown date when mi_aquamarine wanted to get into the airline buisness. He designed the logo, along with in-game maps in Photoshop. 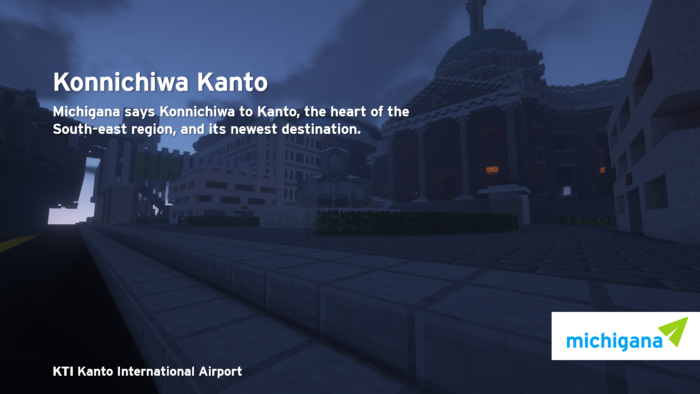 After that, the project was given little attention due to other larger projects that needed more attention, mostly getting Kevtropolis to [Mayor]. A while later on Septenber-October, mi_aquamarine logged on while CaptainObi was browsing planes from EAM. CaptainObi later asked mi_aquamarine if he wanted to be the co-owner. mi_aquamarine was hesitant at first, but accepted it. This sparked a period of confusion in the history of MRTHS and Michigana. After mi_aquamarine gained a 50% share of MRTHS Air, TheSubway of FlySubway sent mi_aquamarine a DM asking if he could buy the share. When mi_aquamarine came back on later, subway and obi teird to negotiate the ownership. It soon came to a share where everyone was happy. Around this time obi asked if mi_aquamarine wanted to merge MRTHS with Michigana. mi_aquamarine thought that there would be benefits to it, one being that is wouldn't be too confusing with ownership. However, mi_aquamarine spent a long time planning Michigana, and he didn't want it to go to waste. even after mi_aquamarine declined, obi started asking countless times to rebrand Michigana to MRTHS, with the reason that "it wouldn't make sense for Michigan to be part of MRTHS which is part of FlySubway" although they were two separate entities at that point. Around this time obi took a look at the Michigana maps in mi_aquamarine's lab, after they were loaded in. Although mi_aquamarine already declined to rebrand, obi said to change the logo on maps to MRT logos and to remove the Mandarin for some reason (although that was taken back really quickly). mi_aquamarine declined again, and obi started begging him to let obi redo the maps. A few days later, mi_aquamarine was exploriing somewhere while chiefbozx found about the rebranding issue. In a long series of private messages, chief recommended that mi_aqmamarine just told a firm "no." He did that when Obi was online, and yay it worked! 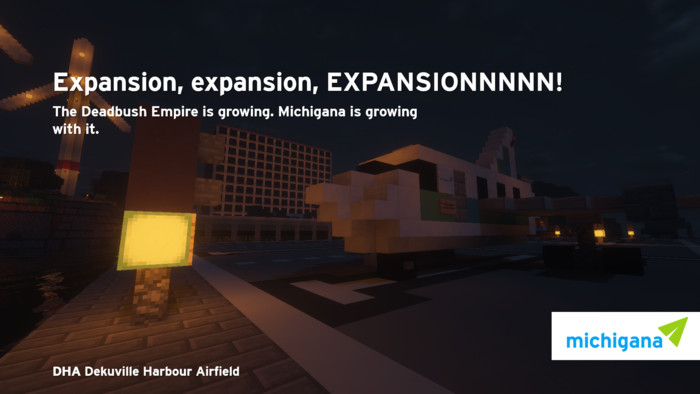 After kevtropolis received the [Mayor] rank, Michigana was given more attention at that point. Although it wouldn't have flights for a while, it was starting to get more recognised, along with it's membership in SkyNation. The only problem was that since MRTHS was a FlySubway subsidiary, MRTHS was in Stanley Air Alliance which sparked confusion of alliance memberships, along with Michigana's former CES membership. Around this time mi_aquamarine got a discord message from CaptainObi asking if the two airlines could "split" although they were never related t eachother, except for ownership status. At the same time after autobus22 made a post of the new SAA logo on the MRT discord, camel brought a fact that SAA had a rule against airlines being in a different alliance than their parent company if it was an SAA member. Obi answered this message by saying that Michigana was a subsidiary of MRTHS that was in "sky transit probation." However after the "split" the ownership problems were put to the past, and mostly forgotten. 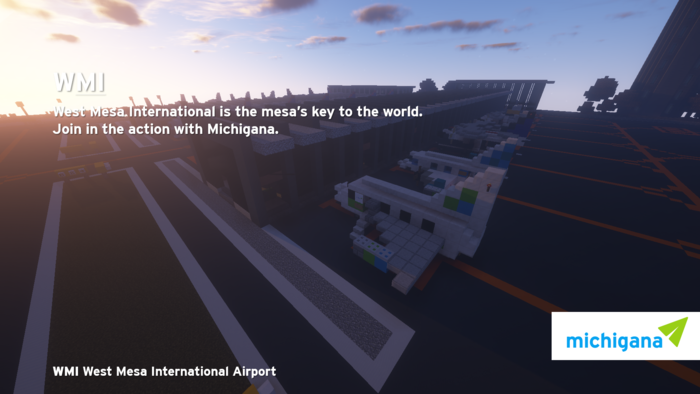 A while later in December, Michigana gained a gate at West Mesa International Airport in Deadbush. The only problem was that there wasn't another open gate to be found, and the pasting period was running out. However Itomori Municipal Airfield saved the day. It was a SkyNation-exclusive airfield, and most SNA airlines automatically got a gate. Although there were already multiple flights running from ITO to WMI, mi_aquamarine didn't care. It was the first flight, and he was happy about that. 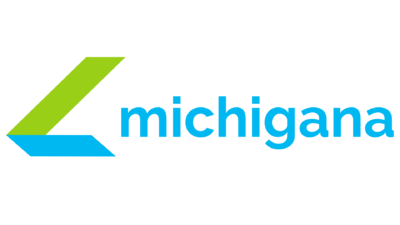 On March 19, 2018, Michigana officially announced it was rebranding, and the rebrand process started when the logo was unveiled on Discord, and the same day rebranding its online presence. 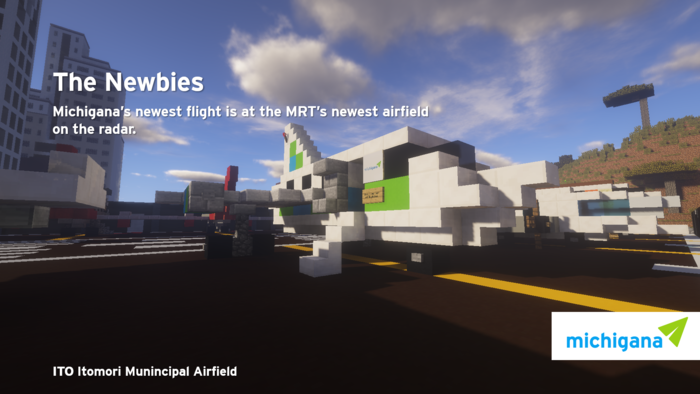 It will soon rebrand plane liveries, gate areas, and check-in counters with the new logos, along with new interfaces for check-in kiosks and in-flight entertainment systems. On the same day, it also announced Jiji (chinese: 机机/japanese: チーチー), Changchang (chinese: 场场/japanese: チャンチャン), Pengpeng (chinese: 朋朋/japanese: プンプン), and Youyou (chinese: 友友/japanese: ヨーヨー), which will be revealed at a later date. Michigana is a Class 1 airline. Class 1 airlines have 5-24 flights. This page was last edited on 2 April 2019, at 10:47.